Dublin Dental School & Hospital, Lincoln Place, Trinity College Dublin, Dublin 2, Ireland. Secretariat Political Science, Postbox 9108, 6500HK Nijmegen, The Netherlands. 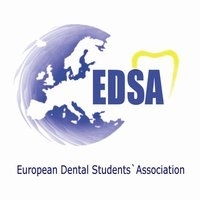 Various student organisations exist at the European and international level that deal with higher education in different ways. The European Students’ Union (ESU) works towards unifying the voices of student bodies in Europe in relation to higher education. Student organisations, other than national unions of students, are able to associate themselves to ESU and thus be involved in the discussion and information exchange of ESU’s structures. speak at all meetings, except closed points of the meeting. to attend the Board Meetings of ESU. These documents (all in English) shall be handed in electronically and by mail to filip@esu-online.org and secretariat@esu-online.org. All documents shall be circulated to ESU’s member unions by ESU’s secretariat not less than thirty days before a Board Meeting as explained in ESU’s statutes. Applications will be considered as valid until the Board Meeting has taken a vote on whether an associate status should be granted to the applicant. The status of an associate organisation is granted by a 3/4 majority of votes cast. The organisation is granted the status of an associate organisation for an indefinite period of time. The Coordinator for Membership Issues at ESU and the Executive Committee shall review the activities of the organisation on a regular basis. An associate organisation can resign from ESU by notifying ESU’s Executive Committee about that in a formal letter.